The idea of products is designed for 3.5" HDD Storage. 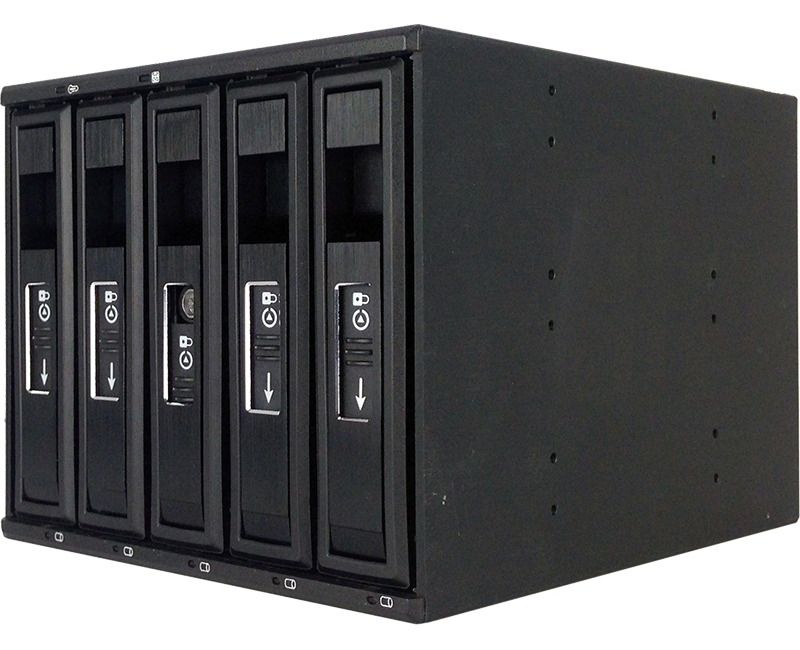 The series is included of Mobile Rack and Backplane. 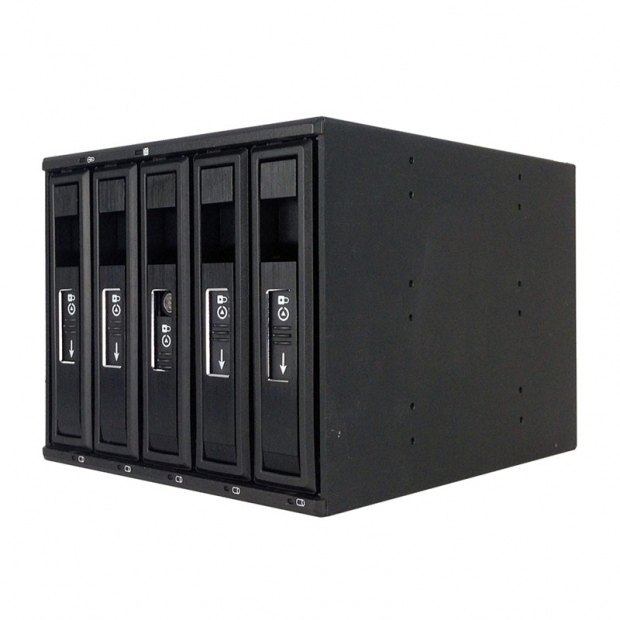 7507-1356 Aluminum structure HDD Backplane module is designed to house up 5 x 3.5" SATA or SAS Hard Drives in 3 x 5.25” drive bay. 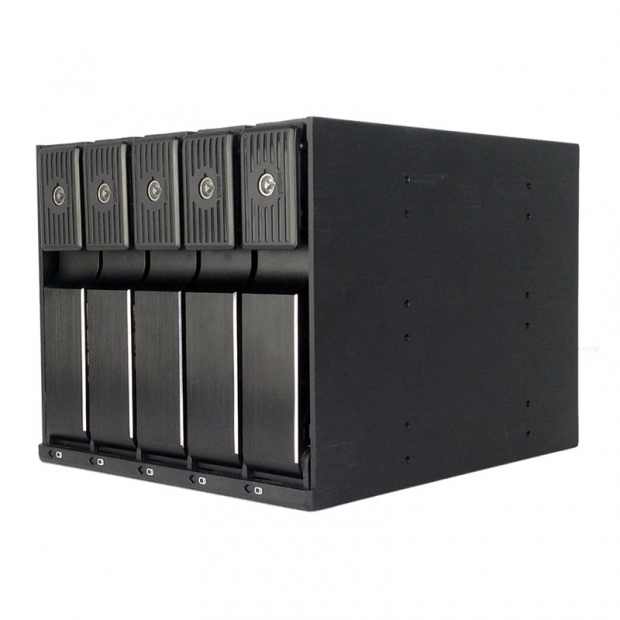 7507-1356 Aluminum structure HDD Backplane module is designed to house up 5 x 3.5" SATA or SAS Hard Drives in 3x5.25” drive bay. Patented spring-rails Tray design make HDD installed without vibration concern and its rear-mounted 80mm cooling fan keeps the unit function at its optimal capacity. 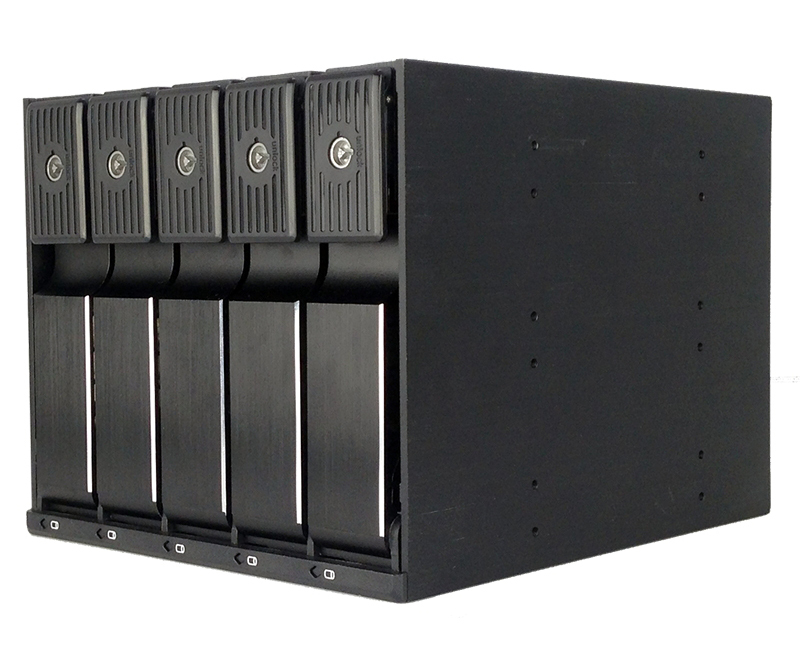 ach tray will be touching with 4 resilient points to limit the top-bottom range of the vibration. 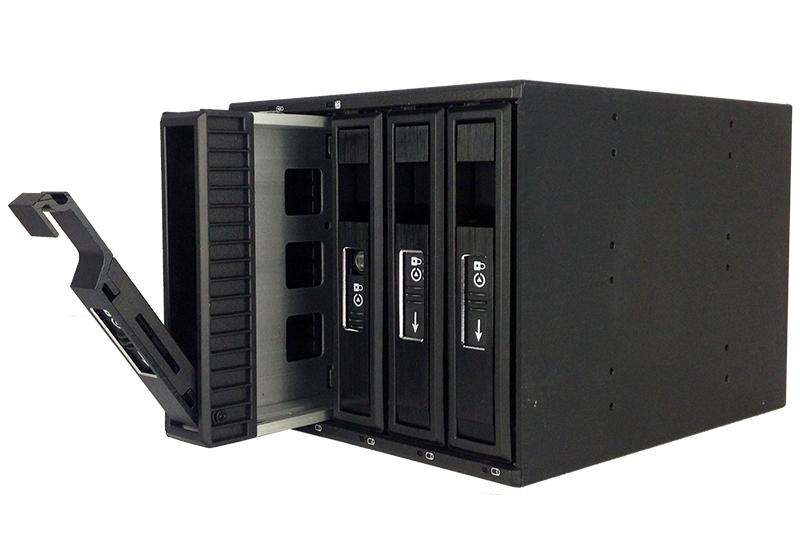 7507-2357 Aluminum structure HDD Backplane module is designed to house up 5 x 3.5" SATA or SAS Hard Drives in 3 x 5.25” drive bay. 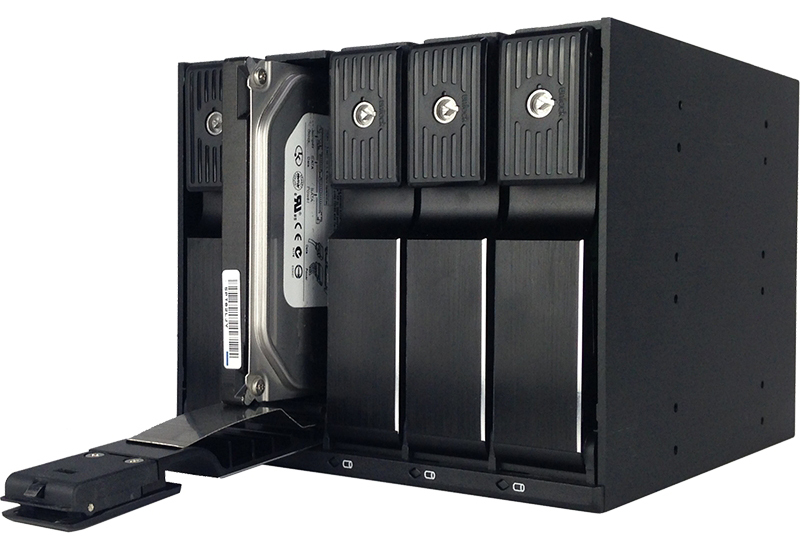 7507-2357 Aluminum structure HDD Backplane module is designed to house up 5 x 3.5" SATA or SAS Hard Drives in 3x5.25” drive bay. 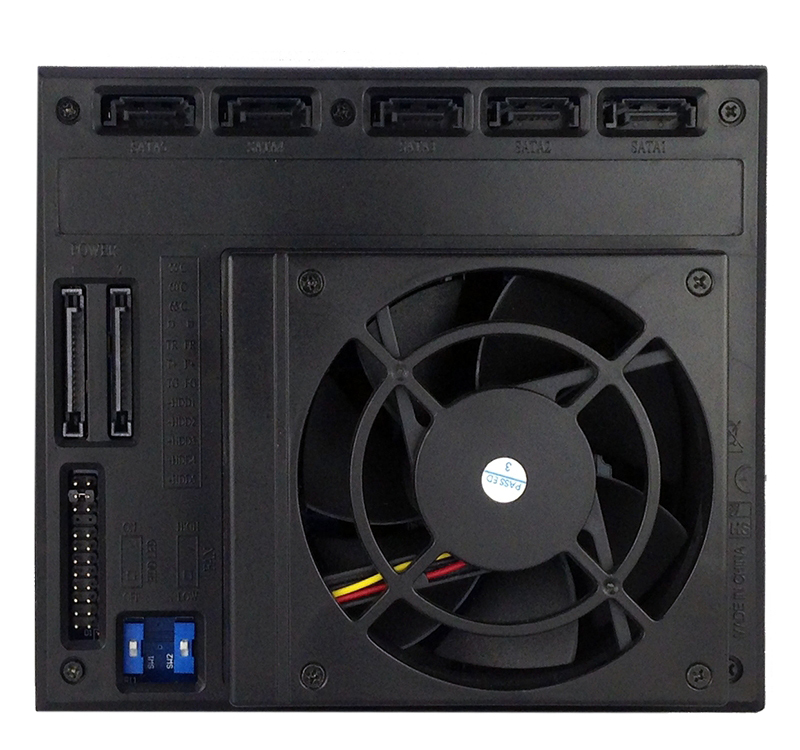 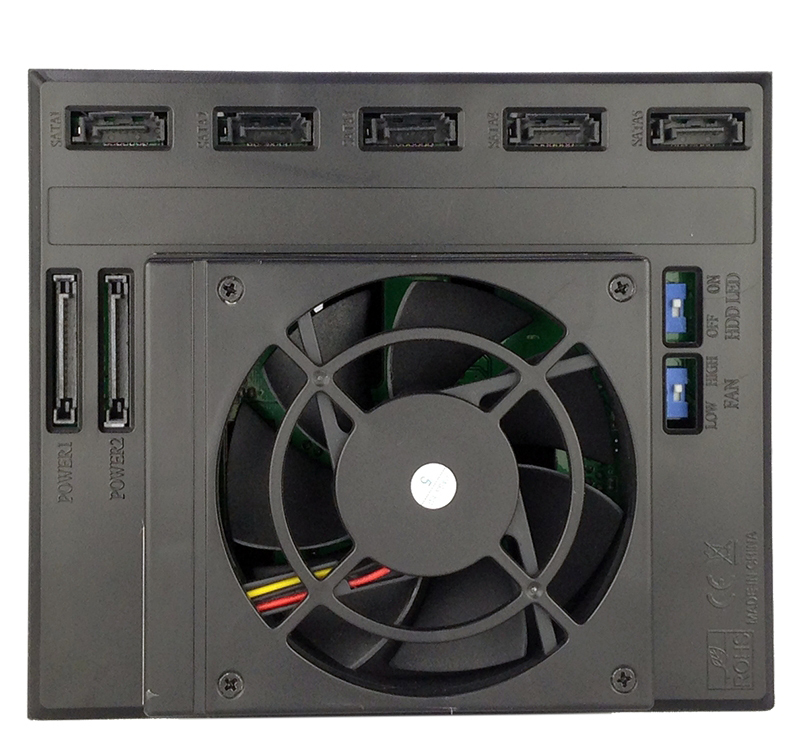 Tray-less design make HDD installing easier and its rear-mounted 80mm cooling fan keeps the unit function at its optimal capacity.